The Mahindra XUV300 will take on the likes of the Maruti Suzuki Vitara Brezza, Ford EcoSport and the Tata Nexon. It will be launched in eight variants – four petrol and four diesel trims. Mahindra is really setting new benchmarks in the passenger vehicle segment in the recent past. The last new product from them, Marazzo, went on to secure a spot our ‘Best of 2018’ mega test. Now, they are set to take on the compact SUV segment with the new XUV300. The Nashik-based carmaker will officially launch the car on 14th February. 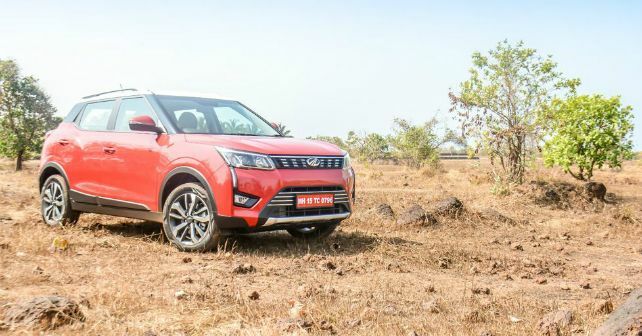 Known by its S201 codename, Mahindra officially christened the car as the XUV300 in December. At the press conference, the company also revealed some images of the car. As the name rightly suggests, the XUV300 looks like a scaled-down version of the larger XUV500. At the front, it gets the signature Mahindra grille with pulled back headlamps stacked on either side. The baby XUV also gets Daytime Running Lamps and fog lamps. Along the side, the XUV300 sits on smart looking machine cut alloy wheels. At the back, the compact SUV has been fitted with wide teardrop shaped taillamps and a silver faux skid plate. Mahindra will introduce the XUV300 in petrol as well as a diesel engine option. The diesel will be a derivative of the 1.5-litre motor that we have already experienced on the Marazzo. The diesel mill develops 115bhp and 300Nm of torque. The petrol, however, will be an all-new motor. It's a 1.2-litre three-cylinder turbo unit that delivers 110bhp and 200Nm of torque. Both engines will come paired with a 6-speed transmission. There will be no automatic on offer at the time of the launch. The XUV300 will go on sale in four petrol and four diesel variants. The top-spec variants flaunts some segment-first features like 7 airbags, dual-zone climate control, front parking sensors, leatherette seats and more. Mahindra is expected to price the XUV300 in the Rs 8-12 lakh price range. At this price, it will compete against the likes of the Maruti Suzuki Vitara Brezza, Ford EcoSport and the Tata Nexon.